Winners of the Fancy Snark Showdown! A huge congratulations to the Fancy Snark Showdown 2017 winners!!! After some heightened 1v1 battles, it all had to come to an end - With DeWitt taking first place, Ace in second, and last but not least, Takumi blasting into third!!! Thank you for everyone who participated and we hope to see you all, plus more, next time. Say "Hello" to Competitive Play! You heard right. We're bringing out the big dogs within The Fancy Snarks. 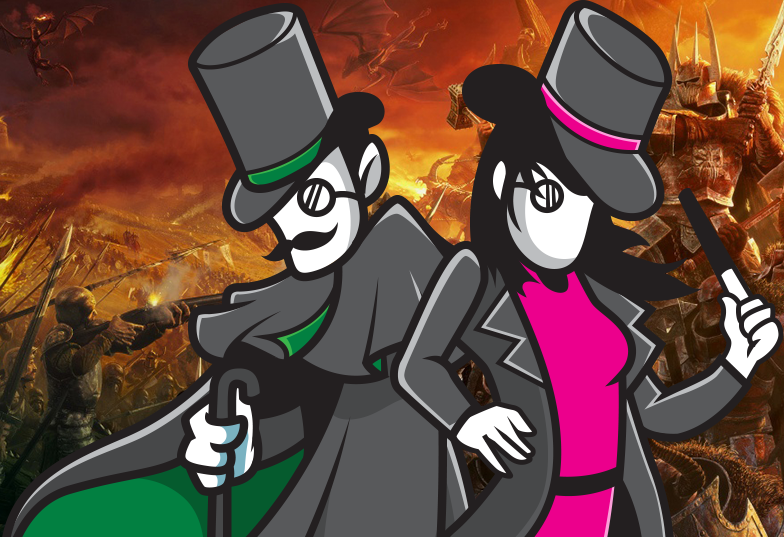 Welcome snarks and guests to our FANCY SNARK SHOWDOWN (a.k.a. Tournament...shhh!). This is the place to be for watching and/or participating in an amazing show of skill as some of the best compete in a no holds bar 1v1 showdown for the next top SNARK!!! The Tournament will be held on the 10th of June with check-ins beginning at 6:00pm CST and games starting at 6:30pm CST. This will be live streamed on https://www.twitch.tv/thefancysnarks. Please feel free to come back and watch your competition! You need to arrive at least 30 mins early and check-in with our staff overseeing the Tournament. The conditions of victory are: First Blood on the opposing champion, the first to reach 100 minion kills, or be the first one to destroy a Mid-lane tower. You will be given a 5 minute grace period to show up for your match before you are disqualified due to absence. You are not allowed to roam from mid lane to kill minions in the jungle or other lanes. Killing jungle minions or roaming to lanes other than mid and killing minions there, will result in a disqualification (YOU LOSE). If you have a dispute please let us know and our staff will handle it accordingly. If you do happen to win our all-out brawl then you will be rewarded with.......(drum roll please) a $20 RP card!!!!! 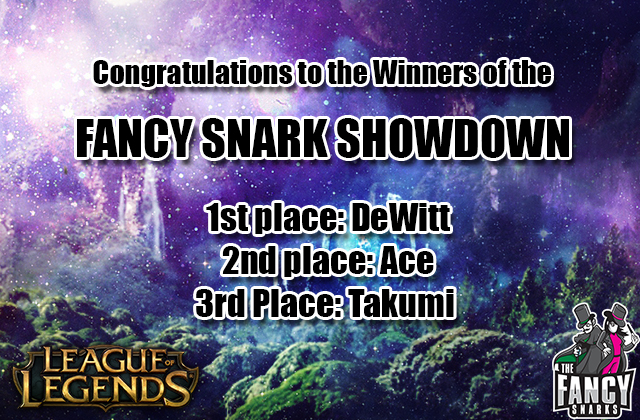 Worry not friends and snarks for if you happen to fall into 2nd place you will leave with $10 RP card!! Last but not least, You made a few mistakes and tumbled into 3rd place allowing you to snag a Mystery Gift.